Armstrong's Stamps is a division of Armstrong's Book Shope Limited. Our main business is Stamps and Stamp collecting. We carry a selection of products that will be of interest to any Stamp collector. We carry a stock of Mint and Used stamps from around the world and welcome any want lists. 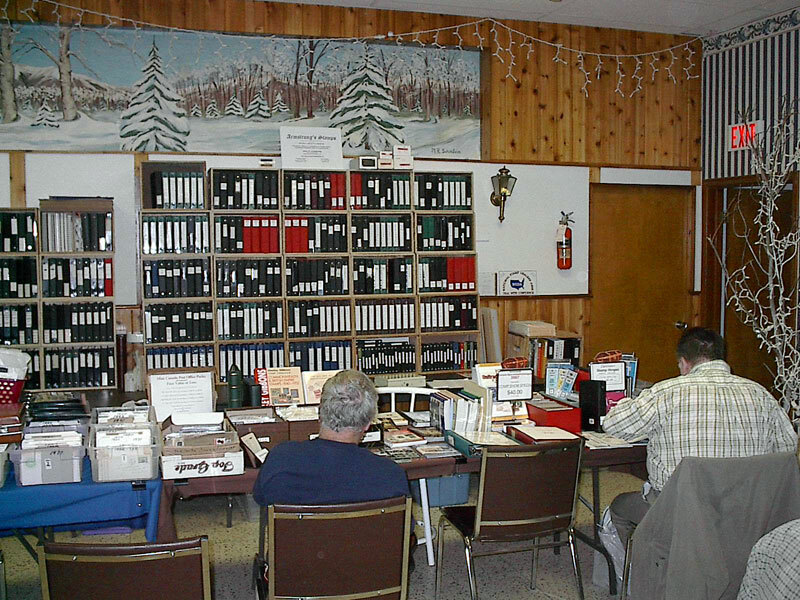 We specialize in British Commonwealth stamps and reference literature of Canada and British North America: Mint stamps, Used stamps, Plate Blocks, Booklets, Postal History, Postal Stationery, Canadian Varieties, Souvenir Cards and Annual Yearbooks, First Day Covers, Collections, catalogues and handbooks. We also have many collector books available to us, including antiques,coins, toys and woodworking. We are active in attending trade shows in the Ontario region (see the show listings on our home page). If you attend one of these shows, please stop by and say hello. We can also bring specialized material with us for you to view or pick up, to save shipping costs. Customers were already at the tables even before the show opened!! We carry catalogues, album supplements and supplies from the finest manufacturers in the world, including Lindner, Stanley Gibbons, Minkus, Scott and CWS. We have supplies from Harris, White Ace, Safe, Schaubek, Davo, Lighthouse, Darnell and others. We carry a wide range of supplies and would be happy to track down an item for you, if we don't stock it!! We are dealer representatives in some of the most well respected Philatelic Associations in the world, so you can be assured of quality and satisfaction in any purchase you make.